Alicia has been making applesauce like crazy with the bags of apples that we brought home from Wenatchee back in October, and we have probably 20 or 25 quarts so far. 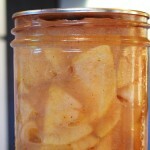 I kept saying that I was going to make some apple pie filling since we just used up our last batch, but it’s been busy. 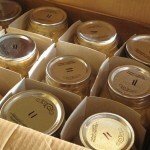 Finally last night the Venn diagram of motivation and time overlapped, and I canned 10 quarts of pie filling. It looks like a good batch this time around; I followed this recipe (mostly, and despite the Comic Sans). 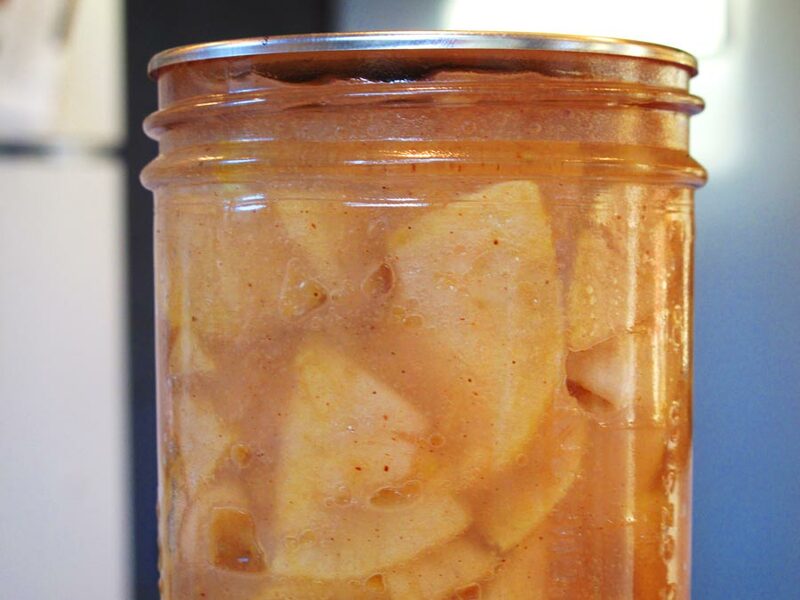 Blanching the apples after they were peeled and sliced seems like it helped keep the whole production from oxidizing too much, though I had to run the sauce through the blender to de-lump it before pouring it in the cans. 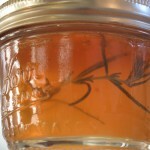 A week or two ago, I also made some apple jelly with rosemary, which is an amazing combination of flavors. Rosemary usually overpowers things, but with the apple, the flavors are perfect together. 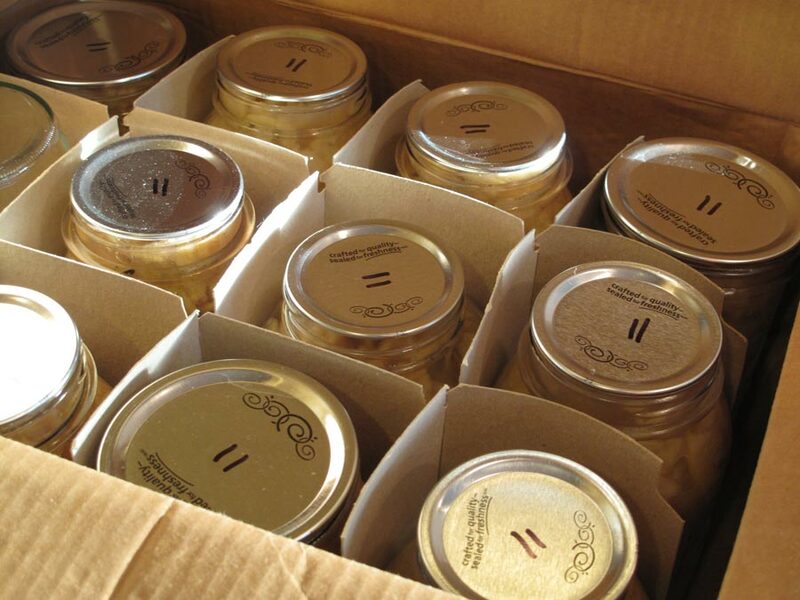 We received a jar of this jelly from someone a few years ago and loved it, but I can’t figure out who it was. If you’re out there, reveal yourself! At any rate, it is tasty, tasty jelly, and it’s all Hannah wants on her toast for the time being. 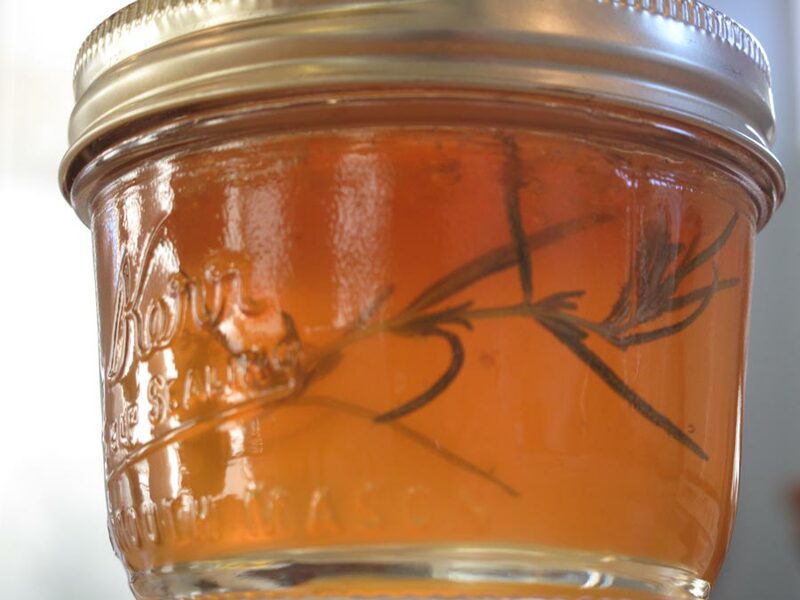 Just take any apple jelly recipe, and add a sprig of fresh rosemary after filling the jars, right before you put the lid on; the rosemary flavor infuses the whole jar.